Uganda, once known as the Pearl of Africa, is one of those emerging African countries attempting to forget its past and take a positive step into the 21 century. Despite its brutal past and a few, very recent, border skimishes, Uganda is still a place for curious travelers looking to see farther inside the heart of Africa. Start with Uganda Travel Facts. There are many reasons to visit Uganda. It's native, untouched African rain forests are home to more than 50 percent of the last few families of mountain gorillas. The beginning of the most famous river, the Nile, which runs all the way to the Mediterranean, starts here. 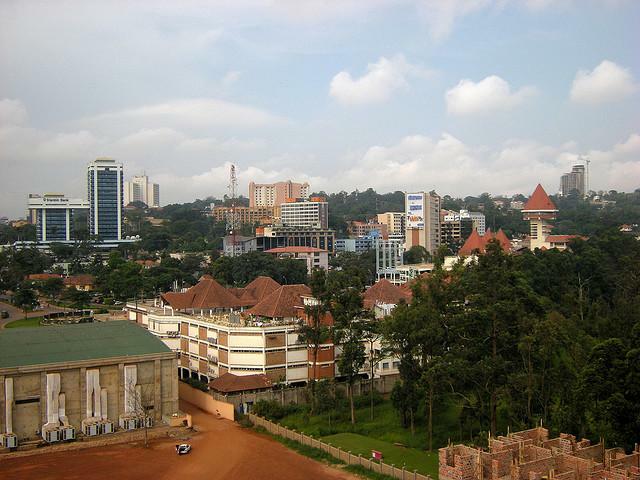 It's also said that Ugandans, like Malawians, are perhaps the friendliest people in Africa. Read: 12 Tips for Surviving Public Transportation in a Developing Country. Flights to Uganda come in to Entebbe Airport, which is located on the coast of Lake Victoria near Kampala. Flights come from all over Europe to the small nation as well as from African travel hubs that serve the rest of the world. The Ugandan tourist machine runs smoothly, greased with the dollars of enthusiastic, high end travelers as well as backpackers looking to see a different (and more tropical) side of Africa. You can find hotels running over $100 a night, as well as budget hostels and more moderately priced hotels. For more information on Uganda check out the message boards where you can find answers to all your travel questions.